Thank you for having me! It’s a pleasure to be here. So, can you tell us what makes Kelley Grealis tick? What got you started on the path to becoming an author? I wrote a lot when I was younger. I wrote poetry mostly, but attempted my first novel when I was in the 6th grade. I didn’t make it past the first 5 pages! I set writing aside when I started high school. My parents decided to send me to catholic school, so I thought I needed to focus on my studies to ensure they got their monies worth. I paid my way through college, so between going to school full time and working, I had little time for writing. In fact, I wasn’t even thinking about writing at this time. I accredit my career midlife crisis for renewing my passion for creative writing. In 2009, the company I had been working for was acquired and the future of my job uncertain. That event caused me to reflect on what I was doing for a living. There was nothing wrong with what I was doing, but I realized that I was professionally unfulfilled. I felt that there had to be something else out there for me. At this same time, I had just finished reading a popular book series, the premise of which was so simple I couldn’t believe I hadn’t thought of it myself. I stewed over this for a bit before declaring to my husband that I was going to write a book. I started writing The Descendant the next day. At the moment, I’m gearing up for the release of my second book, The Search (Book 2 in The Descendant Vampire Series). The Search will be published on August 27. I need to start working on the third book in the series, which I intend to be the last book unless I write myself into a fourth. Excerpt from the opening scene of Chapter 1; Allison caught in the midst of her illicit vampire behavior. Both. There’s a lot of me in the Allison you see in Chapter 1 of The Descendant (Book 1 in The Descendant Vampire Series). The angst that Allison feels about not being able to find her life’s calling is how I felt as I was going through my career mid-life crisis. But that’s the extent of me in that book. 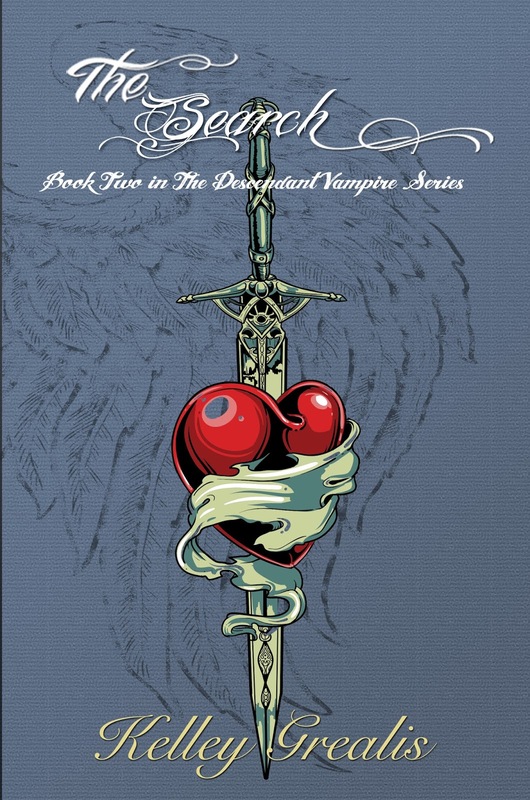 From there, I twisted everything into a fictional tale that reveals the origin of the vampire. One of the liberating things about being a writer is the ability to let your imagination run wild with a story. Why Paranormal books? What made you choose this genre over others? I’ve loved all things vampire since I was a little girl when my mom hooked me on the reruns of the original Dark Shadows TV show. Once I decided I was going to write a book, it was natural for me to want to write about vampires, and once I made that decision, I knew exactly what I was going to write about. I had an observation after reading a bunch of vampire books and watching loads of vampire TV shows and movies – the vampire was always just there. I had never heard a story about the origin of the vampire, or the stories I had heard I simply didn’t think were plausible. I decided I was going to write a novel about how the first vampire came to be with the hope that my theory would make people wonder if it could be possible that vampires exist. Though I currently write paranormal, I have plans for a political thriller and contemporary romance. When I wrote the first draft of The Descendant, I didn’t have a clue what I was doing. I started writing the middle of the novel first, then went back and wrote the beginning, ending, and everything in between. After taking writing classes, I learned techniques to make me more efficient as a writer. I now start with an outline and then have that outline up on the screen as I write each chapter to ensure I hit on all of the elements I want included in a chapter. 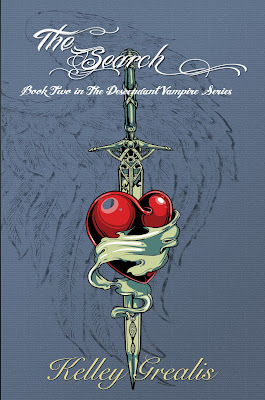 The inspiration for The Descendant was my desire to spin a tale about the vampire’s origin. I did so by tying their creation to popular biblical stories and I did this because my favorite types of stories are historical fiction or fictional tales woven around biblical stories. 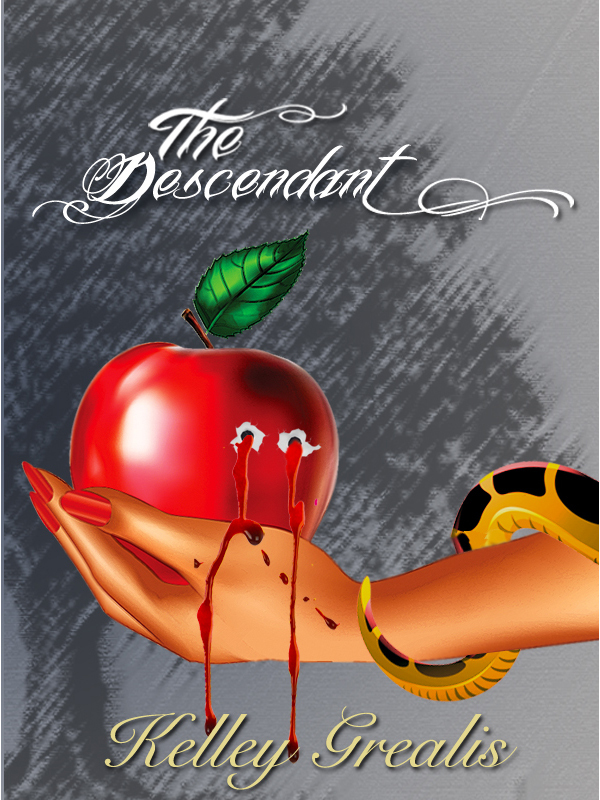 The Descendant is the vampire book I had always wanted to read, and since I never found it, I decided to write it. Inspiration for other novels I plan to write come from real life events. I like to take things I see and twist them into fictional tales. In the shower! It was a Saturday and I was in the middle of writing The Descendant. As I was sudsing up my hair, I had an epiphany about one of my plot elements. I scrambled to rinse my hair, grabbed a towel and went running through the house to get to the den, while shouting at my husband to not talk to me so I wouldn’t forget my thought. It’s all in the way the author paints their world and draws me in. Voice and the tense are factors for me as well. For example, I don’t prefer to read books written in present tense. I stopped saying that I don’t like to read certain genres. Having met some terrific authors, I’ve broadened my reading horizon and have read really terrific books in genres I wouldn’t have previously read. It all boils down to how I connect with the book’s voice. I’m a big fan of Boyd Morrison. He writes action/thrillers. If you haven’t read books by him, start off with The Ark. It’s a story about the quest for Noah’s Ark, but is so much more than that. I like the way he blends his engineering background into the stories he tells. My biggest pet peeve is lack of personal responsibility. If you say you’re going to do something, do it, and if for some reason you can’t, at least let me know there will be a delay. I like to exercise and belong to a local fitness place that offers a variety of classes that keep me interested. Of course I like to read. I also enjoy gardening and watching sports. I’m a diehard Cleveland sports fan. My husband and I both have motorcycles so we enjoy riding. We also like ATV’ing and traveling. Thank you so much for joining me here today, Kelley. I know my followers will enjoy this spotlight as much as I have conducting it. Good luck on all your future endeavors. Thank you for having me! I appreciate the opportunity. Best of luck to you as well! Hi Harper - thanks for hosting me for brunch today! I appreciate it!